When “Beauty and the Beast” originally came out in the fall of 1991, I was a sophomore in college into films such as “Rush”, “Star Trek IV: The Undiscovered Country”, “The Fisher King” and “The Last Boy Scout”. Say what you will about that selection, but needless to say, a fairy-tale romance/musical was the furthest thing from my mind. Come to think of it, Barry Sonnenfeld’s “The Addams Family” was released on the same day and I think I opted for that instead. That’s just where I was at the time and I never caught up with Disney’s 30th animated feature, until now. It took a 3D post-convert to do it, but I finally saw the award-winning film loved by many, Best Picture nominee and two-time Oscar winner (Best Original Score and Best Original Song), and for that I’m glad, but that’s about it. I may have not been in a place to truly appreciate the film at the same time everyone else was, yet now I can understand and appreciate quite a bit about the film. 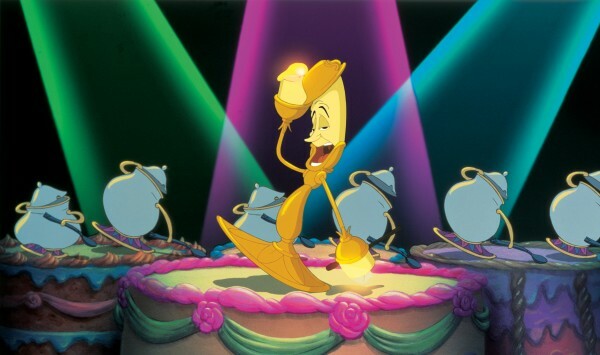 It is famously known for being the first ever animated film to be nominated for Best Picture (it lost to “The Silence of the Lambs”, which featured a different kind of beast) and won for Best Original Score and Best Original Song. It came out as Disney was riding the wave of success from “The Little Mermaid”, a film that resurrected the studio’s hold on the animation genre. It was also one of the first films where animators used CAPS (Computer Animation Production System), a groundbreaking new digital ink and paint system that allowed for a wider range of colors and a more confident way to combine hand-drawn art with CGI (Computer-Generated Imagery). 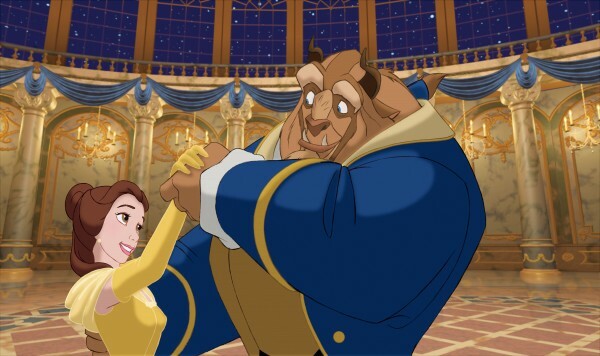 Much was being made about how the best use of CAPS is found in the waltz scene in “Beauty and the Beast” where it seemed like the two dancing characters were being filmed by a camera that was swirling around them. Its use is commonplace now and may even seem outdated, but 20 years ago this visually impressive device that stimulated multiplane effects was a big deal. So, it’s easy to see the impact this movie has had on other animators, but particularly the integral part it played in the Renaissance period – that is the late 80s/early 90s – of the Walt Disney Animation Studio. The story is based on La Belle et la Bête, a French version of a traditional fairy-tale that was eventually made into a 1946 fantasy film by Jean Cocteau. 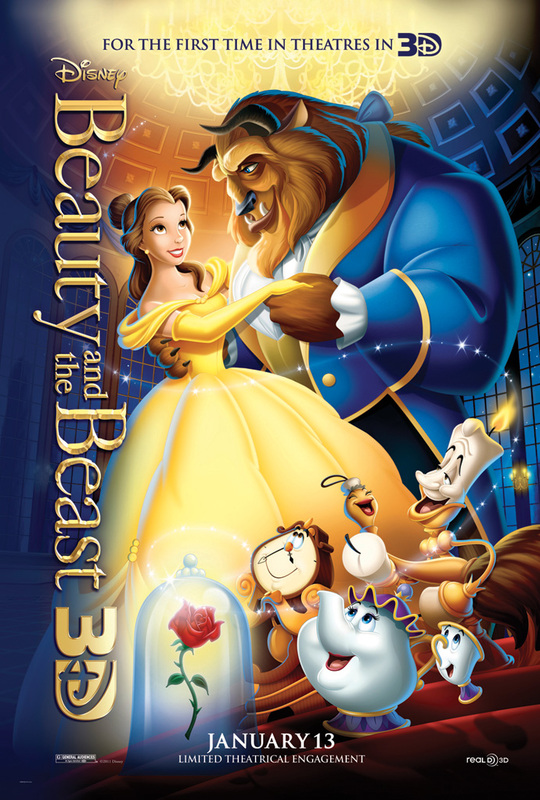 Some may remember the modern American take on the tale, a television series starring Linda Hamilton and Ron Perlman called “Beauty and the Beast”, which ran for three seasons. The Disney version shockingly took eleven screenwriters to come up with their own adaptation. For the most part, the film is loyal to its source, notwithstanding the 25 minutes or so of musical numbers written by Alan Menken and Howard Ashman injected to enliven the story. Most of those numbers work well, thanks to Jerry Orbach (a jolly “Be Our Guest”) and Angela Lansbury (the romantic ballad “Beauty and the Beast”) actors with considerable Broadway chops (who can pull off playing animated inanimate objects), while others were grating to my sensibilities. The story showcases an insufferable degree of clichés and stereotypes, where obvious sexism (not to mention Stockholm Syndrome) comes to mind. Maybe it’s easy to notice all these elements as a middle-aged viewer, having developed my cinematic palette over the years to notice such things. Need I go into the story more? Probably not. Everyone knows about the handsome young prince cursed to live as a hideous creature (voiced by Robby Benson) due to his vanity and live his days secluded in an enchanted castle until he can find someone to love, one who will equally reciprocate. Then, in a nearby French village (where no one speaks French or has a French accent) we meet a young girl named Belle (Paige O’Hara, channeling Judy Garland), a singing book nerd (which helps when you’re using words like “provincial” in your song) who is loved – and made fun of (apparently in equal measure) – by the local townsfolk. Yep, you guessed it – she’s the one to break the curse and soften the furry hide (and heart) of this socially inept and flat-out rude beast. Helping push along their meet-cute is a host of culinary utensils, a clock, and a swooning candelabra (finally a French accent). Of course, there has to be an antagonist throwing a wrench in the blossoming “inner beauty” affair, and that falls to the self-loving Gaston (Richard White), the local beefcake buffoon. I realize this lantern-jawed Neanderthal is a typical fairy tale character, but man did I ever immediately grow tired of him. In fact, none of the characters here really did much for me, but I appreciated the light humor that some of them provided. Even though the overall character design wasn’t very appealing to me, the movie’s creative art direction is undeniably admirable, and is its infectious lively tone. Directors Trousdale and Wise and the extensive writing ensemble deliver a fine “If You Love Somebody/Set Then Free” tale that made Disney a load of change – which they’ve revisited over the years. That’s just what the House of Mouse is doing with this 3D edition. We saw it with “The Lion King” and we’ll see it again later this year with “Finding Nemo”. Although it’s great to see these classics on the big-screen again, but 3D does very little to enhance the experience, but the House of Mouse can’t deny the double-dip. I can easily see how this movie is near and dear to many people’s hearts, but I’ll just appreciate it for what it is. Maybe it’s just the fact that I didn’t catch “Beauty and the Beast’ when everyone else did, but I can’t say it really holds up as a Best Picture nominee. That could also be because I’ve seen how far animation has come. 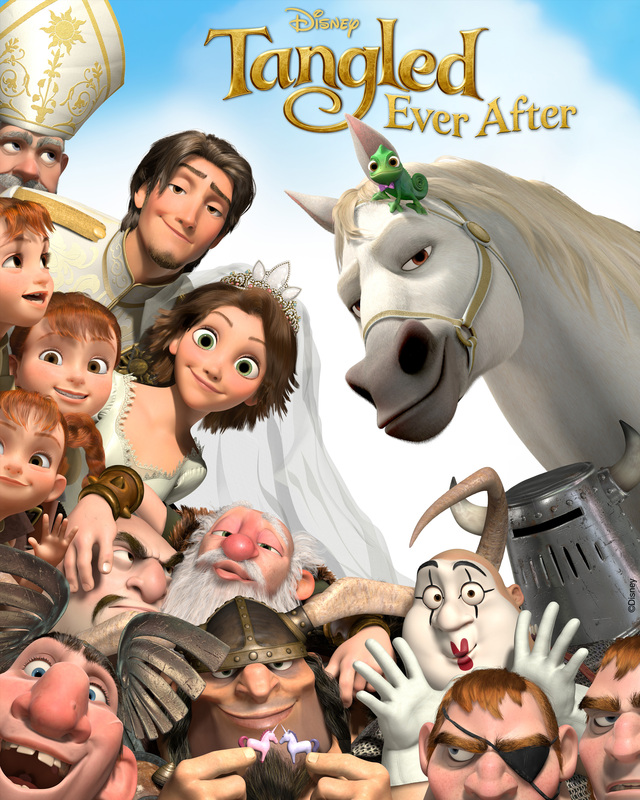 On that note, I found myself preferring the delightful “Tangled” short that precedes this release – a fun sequel that showcases some hilarious wedding hijinks. Now that I’d like to see more of.